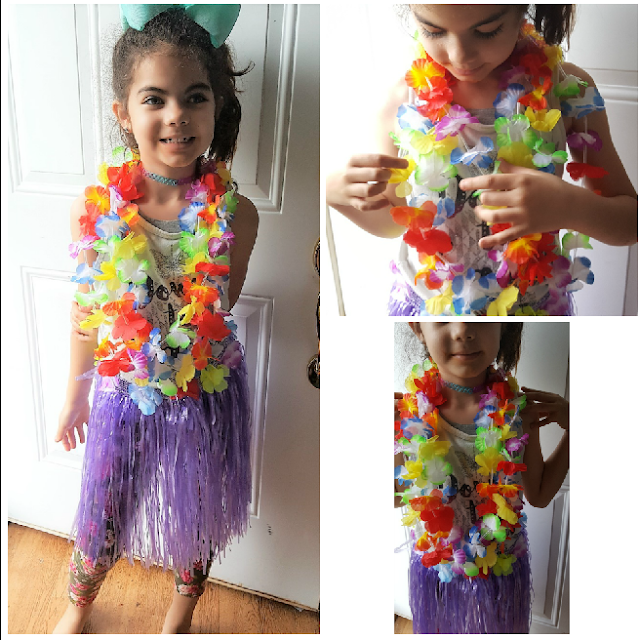 The flower bracelets, necklaces and head lei have elastic to make it adjustable for many different ages. The skirts open up completely and is fastens with velcro so its also adjustable. The girls wore their skirts and leis all night long. I actually think some slept in them. Its safe to say they were a huge hit and the girls were so happy they also got to take their homes. 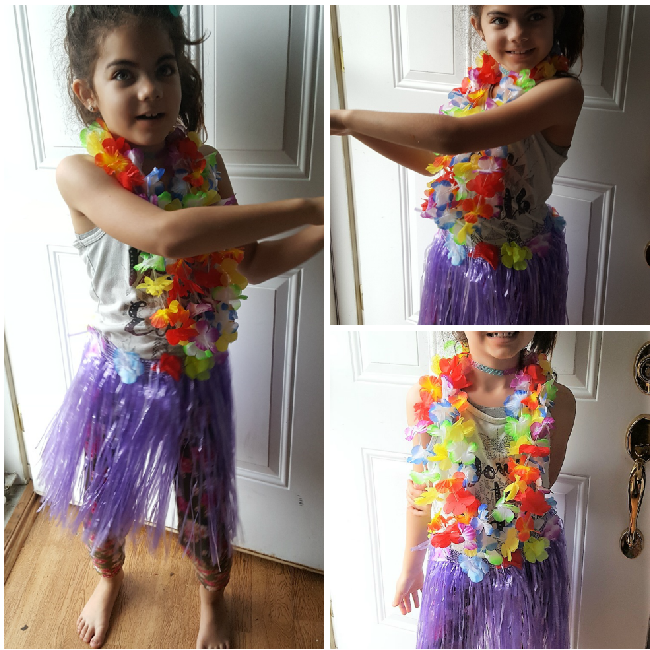 We took these pictures after everyone had left the sleepover/party Missing is the 2 bracelets and 1 head lei which my granddaughter gave to her friends little sister who is 4 who wanted something too.